I can (thankfully) say that I never experienced any form of depression before my second pregnancy. They say every pregnancy is different, and they truly aren’t kidding. I knew I was pregnant around three weeks but the test didn’t come back positive until four weeks. Then it began – the sickness, the migraines, the insane tiredness. It turns out I had what’s called Hyperemesis Graviderum. It’s pretty much the most intense morning sickness you can imagine that comes piggybacked with trips to labor and delivery for up to four bags of fluids and intramuscular shots of anti-nausea medications used for chemotherapy patients. The option of a PICC line gets tossed around. It really is a grand ol’ time. Luckily for me, I only ended up in labor and delivery once. As for the rest of my pregnancy? You could find me in bed, on the couch or laying on the bathroom floor. Having HG meant leaving plates of snacks and drinks out for my two year old because she couldn’t understand why I couldn’t make her lunch. It meant turning down play dates because I turned from completely okay to a throwing up possessed pregnant lady in a matter of seconds, with no warning. Thankfully, the heavy duty anti-nausea pills I was prescribed helped immensely. Just to give you a taste of how bad it was, Zofran did nothing to help me. Needless to say, I was depressed during my pregnancy. I had everything we needed for a girl, and we found out we were having a boy. I didn’t want to buy clothes. I didn’t want to decorate a nursery. Nothing. I wanted nothing to do with the life growing inside of me. The sciatica pain was unreal. I practically lived in my chiropractor’s office. To top it off, I was in prodromal labor for the last 2.5 weeks of my pregnancy. I would go into full on labor every single night from 7pm-12am and then the contractions would disappear. Every. Single. Night. He finally came the day before my scheduled induction at 41 weeks pregnant. I was more excited about not being pregnant anymore, than seeing the baby. Postpartum didn’t change my feelings. Up until a week ago, I couldn’t even tell you why we had a second baby. I get so overwhelmed. I yell at my three year old for no reason. I’m incredibly angry more times than I am happy. Postpartum depression is so real. It’s so scary and tiring. Your brain never shuts off. Add in a colicky baby with tummy troubles who never sleeps? Recipe for a mommy meltdown. I was told that I’m stressed, that I just need to ‘adjust’ to life with two kids. I can honestly say that hearing that from a nurse in a midwife office astounded me. Did you know you can develop postpartum depression up until a year after you have the baby? If you think something is wrong, get help. Just ask. It took me up until a month ago to ask for help. Now I have help at least once a week with the kids. I can get things done. I’ve given up my dream to exclusively breastfeed this baby and started supplementing because it’s best for all of us. Because, #fedisbest. 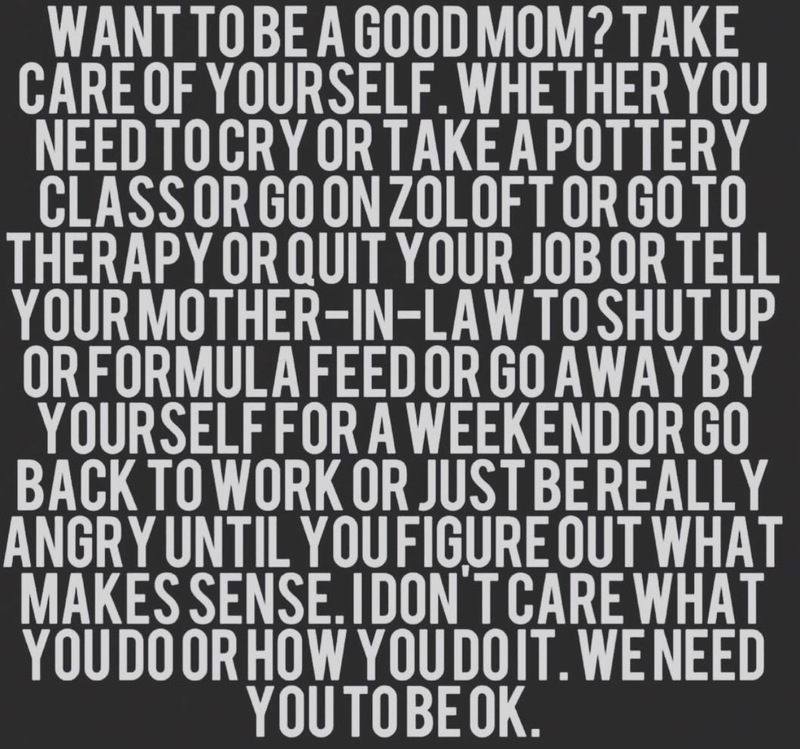 I had some mommy friends with similar feelings that have helped me so much, and I’m forever grateful for their love and support.